CBS All Access‘ second episode of The Twilight Zone reimagines one of the most classic episodes from the original show. 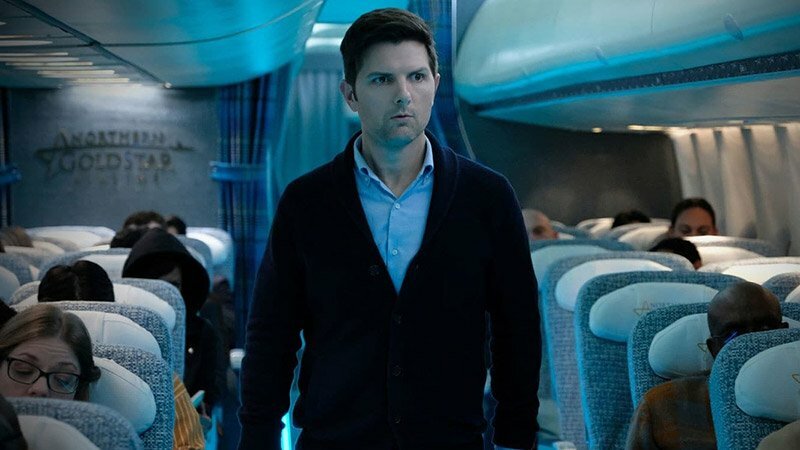 In “Nightmare at 30,000 Feet,” Adam Scott stars as a journalist, Justin Sanderson, who finds the fate of Flight 1015 completely in his hands. Journalist Justin Sanderson navigates his way through TSA and pre-boarding traditions as he waits for his flight. A fan, Joe Beaumont (Chris Diamantopoulos), recognizes Justin after grabbing a nearby magazine with the journalist’s story on the cover, titled The End of Civility? Justin buys the magazine for Joe and signs it. After Joe leaves, Justin calls his wife and the two argue about his impending trip. It’s revealed that Joe is suffering from PTSD over previous events and sees a therapist who reminds him that “the past is the past.” The mantra is meant to bring him back to the present. Before ending the phone conversation, Joe casually mentions that his flight is #1015, that the date is October 15, and that his flight was delayed from 9:30 to 10:15 p.m. What are the odds? As the passengers are herded onto the plane, Justin offers his seat to a family so they can remain in first class together. Making his way to the main cabin, Justin spots Joe sitting just down the aisle. 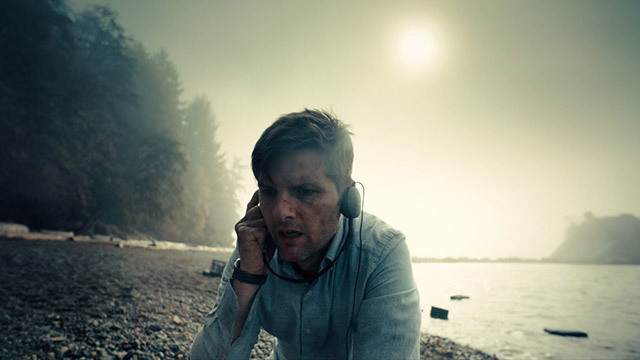 After taking his seat, Justin finds an MP3 player paused on a podcast titled, “The Tragic Mystery of Flight 1015.” Finding a pair of headphones, Justin begins listening as the host of the Enigmatique podcast, Rodman Edwards, begins talking about the mystery of Northern GoldStar Flight 1015. The narrator essentially describes exactly what’s currently happening, from the safety demonstration to the rain pouring outside. Edwards then reveals that in less than an hour, Flight 1015 will disappear from flight control radar and will never be heard from again. Jordan Peele officially introduces the episode, explaining that Justin’s occupation is to uncover unbiased truth, but he must ask the right questions of the right people in order to prevent certain doom. Chapter Two of the podcast highlights ominous signs. Edwards mentions a Captain Donner and Justin immediately asks the passenger sitting next to him if that’s the name of their captain. The passenger doesn’t seem too interested in helping, including refusing to listen to the podcast and changing seats when Justin asks him to put on the headphones. Justin goes back to the podcast as Edwards describes how Captain Donner reported to air traffic control that there was a flock of cormorants near Flight 1015. Apparently, a dead bird is a harbinger of bad things to come in aviation circles. Edwards details how the flight crew reported that a bird struck the engine of the plane at 10:21 p.m., and the moment he says it, something does hit the engine right outside of Justin’s window. The impact launches Justin out of his seat as he rips off the headphones. Justin races into the bathroom and repeats his mantra to prevent a panic attack. After calming down, Justin makes his way back to his seat and presses the flight attendant button. When a crew member arrives, he asks if they hit a bird. The man says he wouldn’t know and Justin asks if they can ask the pilot, but the flight attendant doesn’t want to disturb him. Joe suddenly appears in the seat behind Justin, confirming that it was a bird they hit. He reveals that he used to pilot for the company and that birds are headaches coming out of Dulles. 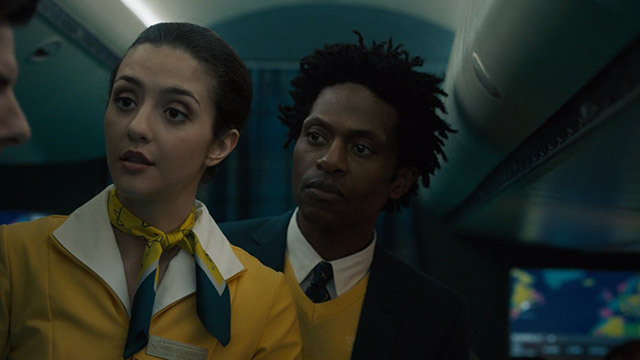 Joe rambles on about how Captain Donner (Nicholas Lea) and the flight attendants, Nick (J. Cameron Barnett) and Tammy (Katie Findlay), are a good flight crew. Joe explains that he doesn’t pilot anymore because of “one too many mistakes” he can’t take back. He then leaves an even more bewildered Justin. Justin begins listening to the podcast again. Edwards offers up a few more details, saying that the captain’s final words to air traffic control were “Good night, New York,” and that Flight 1015 disappeared at 11:15 p.m. The captain then makes an announcement asking if the passengers will remain seated as the thunderstorm outside is escalating faster than anticipated. On the podcast, Edwards explains that 117 lives were lost when the flight disappeared over the North Atlantic. 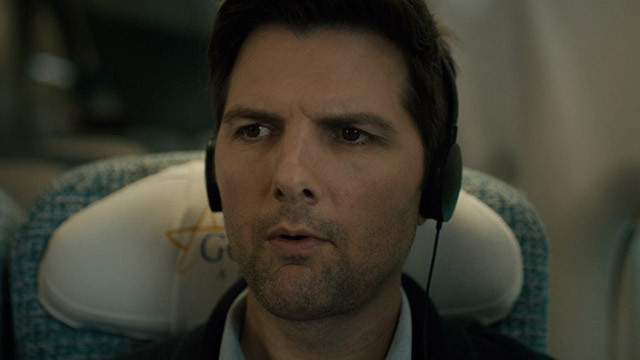 As he begins to say that patterns and the smallest details matter, Justin starts taking notes and walking the plane, paying attention to the passengers, crew, and the pilots, who are visible from the cockpit thanks to monitors placed throughout the plane linked to cameras on the flight deck. At one point, Justin comes across two men watching a game of cricket on a phone and he asks them to turn off the device. The men refuse, and the flight attendants ask Justin to go back to his seat. After turning the podcast back on, Justin learns that there is one “infamous individual” on the passenger manifest, Igor Orlov. Igor was in witness protection, taking the flight to Tel Aviv in order to testify against the Russian mafia. Edwards wonders if the mob could have taken down Flight 1015 to prevent his testimony. Justin also finds out that there is a U.S. Marshal on board, and he goes in search of that passenger. Justin tells Tammy that he needs to speak with the air marshal. Tammy tells him she’s not sure there’s one even on board and that flight attendants don’t have access to that information. Justin finds Joe and sits next to him, asking if he’s the air marshal. Joe says that he’s just a pilot. Justin decides to investigate Igor by creeping over to the man’s seat (who is currently sleeping) and going through his things. The man wakes up as Justin apologizes. The passenger says that’s he’s not Mr. Orlov, he is a player for the Russian Football Premier League and he and his teammate are heading to a game in Tel Aviv. Tammy, fed up with Justin at this point, tells him that she has alerted the captain to his behavior. When Justin says that the Russian mafia is trying to kill Orlov, a man a few seats up rushes at Justin. Captain Donner appears, telling the real Mr. Orlov to calm down and go back to his seat. Donner then gives Justin a warning, telling him to sit down as well. Justin complies when he notices how the passengers are watching and filming him. 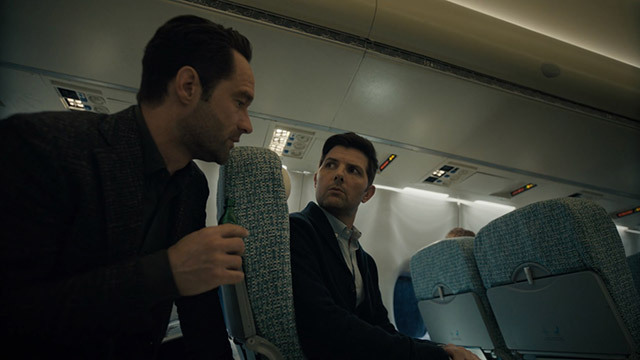 When Justin begins listening to the podcast again, he’s stunned when Edwards lists another person of interest on the flight, one investigative journalist named Justin Sanderson. The narrator continues by saying that video from another passenger was uploaded showing Justin causing a disturbance on the flight. Edwards then plays an audio clip of the events that just took place regarding Mr. Orlov and Captain Donner telling Justin to go back to his seat. Captain Donner spots Justin standing in the aisle and pulls him away from the other passengers. Justin tells the captain not to repeat his traditional phrase “Good night, New York,” and Donner asks him why. Justin tells him it’s the last words anyone will ever hear from the flight. Donner, who believes Justin is having a psychotic break, warns him not to threaten his plane again. Suddenly, Alysha (China Shavers), the woman who has been eyeing Justin throughout the flight, reveals herself as the U.S. air marshal and places Justin under arrest, restraining his wrists. After sitting back down, Alysha apparently listens to the podcast and tells Justin that podcasts can’t predict the future and help will be waiting for him when they land. Justin says that he’s had a mental breakdown before and this isn’t it because it feels different. He’s not caught up in the past, this is the present. When the captain grabs Alysha to speak to her in private about a situation, Justin continues listening to the podcast. Edwards asks if anything could have been done to prevent the tragedy. Using the 1015 code, Joe enters the flight deck and incapacitates the pilots as the passengers watch on in horror from the video monitors. Joe makes an announcement that he’s the new captain before doing as he said and putting everyone on board to sleep. Except for Justin, that is, who uses his personal oxygen tank to make his way up to the flight deck. Joe speaks to Justin over the intercom, thanking Justin for teaching him that the past is the past and that he’ll never be the man he once was. But, Justin has given him clarity and awareness, and a chance to find peace. He says it’s the only way that Justin will also find peace. He then signs off with air traffic control saying, “Good night, New York,” before settling back and allowing the plane to crash into the thunderstorm. Justin realizes that Joe was the pilot of the doomed flight all along. After the plane has crashed, Justin wakes up on a beach, partway submerged in water and among luggage and debris. Justin spots the downed plane in the water and then sees the MP3 player on the ground nearby. Justin quickly grabs it and listens as Edwards continues the story of the mysterious Flight 1015, saying that rescuers searched for months for any signs of the flight and its missing passengers. Edwards then reveals that a cargo ship eventually happened upon a near-barren atoll and discovered all of the passengers alive. Except one: Justin Sanderson. 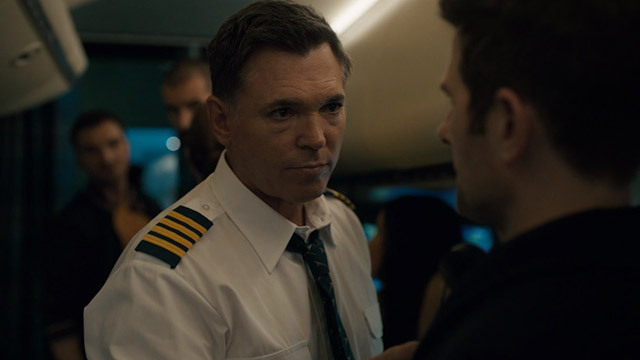 Edwards says that none of the passengers could explain Justin’s disappearance. On the beach, Justin watches as the other survivors descend upon him. Justin yells at the angry mob that he tried to save them as they close in on him and kill him. Peele finishes out the episode saying that Justin Sanderson spent his final moments saying he did everything he could to avert disaster. In the end, though, Justin never once investigated himself and learned that the “flight path to hell” is paved with good intentions. If only he had listened to the whole podcast. What did you think of the second episode of The Twilight Zone? Let us know in the comment section below!